50 farmers, 10 farms, 4 scholarships, 1 bus, and lots of fun! That pretty much sums up the 2013 “Go East” Bus tour organized by the Ecological Farmers of Ontario (EFAO). This tour will explore some of the most interesting and innovative ecological farms in eastern Ontario and Quebec. Participants will tour the on-farm dairy processing facility at Pinehedge Farms where yogurt and kefir is made and learn about the amazing seed saving initiative, and co-operative farming structure at Tourne-Sol Co-operative Farm in Quebec. A BBQ and evening social has also been arranged following a tour at Ashton Glen Farm, owned and operated by EFAO president Dave Smith! Other stops will highlight University of Guelph organic dairy research, organic field crop trials, pasture management systems, diversified livestock operations and CSA market gardening. With so much to see there will be truly something for everyone! EFAO staff and tour organizers are excited to announce four scholarships available for the tour for farmers eager to network with their peers and explore practical farming education. Scholarship applicants are asked to submit a 500 word letter with a brief introduction about themselves, their farming interests, and why coming on the tour will benefit their future farm plans. Applications should be submitted to Karen Maitland at info@efao.ca by July 15th 2013. 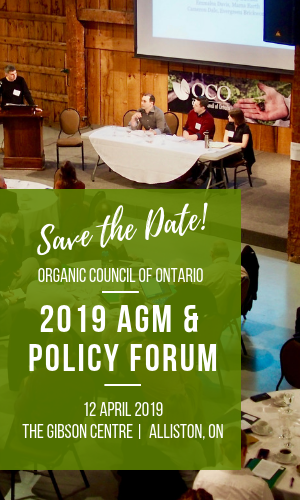 Tour organizer and EFAO Provincial Board member, Hugh Martin, says “space is limited on the bus, so be sure to contact the office now for more details and to book your spot”! EFAO has maintained a long history of practical knowledge sharing through farm tours and farmer to farmer training sessions. The “Go East” bus tour follows this tradition, providing farmers from across the province opportunities to learn, share and build a stronger community. For more information about the bus tour, or the scholarship application visit www.efao.ca or contact their office at 519-822-8606 or info@efao.ca. The bus will depart from Guelph the morning of August 22nd and return of the evening of the 24th. There will be the opportunity for an alternate pick-up in central Ontario, please inquire when registering.